I’ve written a new article on the top of people suffering from damaged or missing teeth and the need for a sinus lift in some instances. You can read the article at: https://patch.com/virginia/reston/my-dentist-says-i-need-a-sinus-lift-for-dental-implants–what-is-a-sinus-lift. 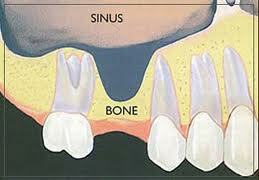 If you have questions about dental implants or have been advised you need a sinus lift, contact us for a consultation.